You must be having some serious reasons to purchase a good fly rod now that you are reading the St Croix Fly Rod review. You are probably a genuine fisherman or a fishing sport enthusiast, and you understand that when an "expert" says that fly rod suits you, it is not true. Majority of St. Croix versatile fly rods are more expensive than ordinary rods. But why should you pay more for a fly rod when more expensive fly rods do not catch more fish? This review of the St. Croix Legend Elite will dispel one of the myths; whether the whopping price is equivalent to the rods value or part of it goes to extensive marketing propaganda to convince buyers that the product is better. Here is a quick recap on what we think of this fly rod. 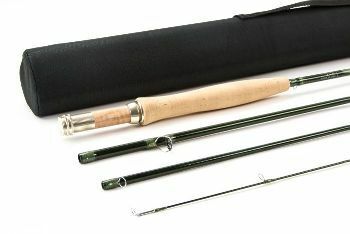 The St. Croix Legend Elite freshwater fly fishing rod is a gear made of superior high modulus graphite with weight selections of 4wt, 5wt, 7wt, and 8wt. It is superbly designed for little to repairs, besides being durable and resilient. The St. Croix Legend Elite is built for ease and accuracy with which one can cast the bait in any condition. It uses both Integrated Poly Curve (IPC) tooling technology and the Advanced Reinforcing Technology (ART) to ensure casting accuracy. Despite being lightweight, the lower side fitted FRS ensures it has maximum power to deliver the catch. 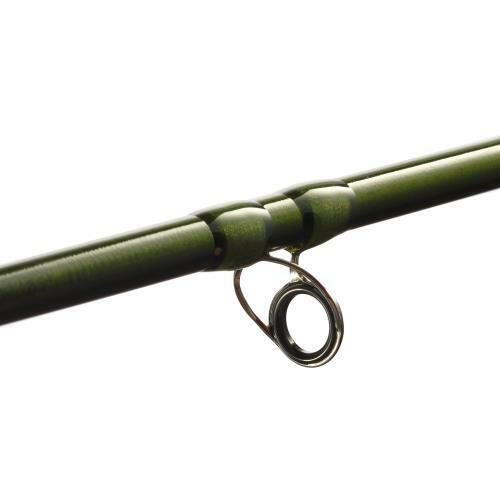 Also, you will have no problem with the St. Croix Legend Elite to cast your bait at a distance. You may need hi-stick or a nymph in the process to cast long enough, or you like a shorter one for shorter distances. Before we review the features of the St. Croix Legend Elite, you need to ask yourself this pertinent question. 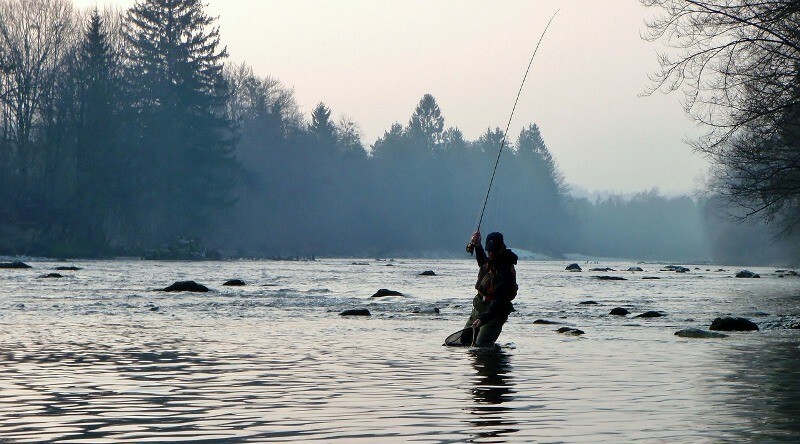 Once you have your focus right, the relevance of the fly rod will be dictated by its features. Price will be rendered irrelevant. Lure Weight: 1/8 to 3/8 oz. Yes, the St. Croix legend elite has quite some excellent features to rank. Above them, all is the sensitivity feature for this finesse fishing road that brings unsurpassed fishing results. The rod can transmit the vibrations accurately and precisely. The right casting capability for long distances makes this series the pinnacle of bait casting. The specialized tappers will allow you to cast longer with excellent line control, balance and unprecedented sensitivity. Its backbone is excellently located at the bottom half of the rod. The graphite strength throws in explosive power when the rod is loaded. Additionally, the St. Croix legend elite will help you to cast your dry flies accurately for longer distances. You will be able to feel the tiniest of pebbles where your dry fly lands with the instant feedback of this fantastic high-performance rod. When someone talks about a highly performing fish rod, the suggestion should go for the casting accuracy alone. The fly rods meant for the average fish assailants do not cast with a comparable accuracy of the meticulously handcrafted St. Croix avid fly rod in action. A great fly rod is the one which can perform well in any conditions of the river, stream, and lake or dam you have been fishing in. However, it must have a correct line which suits your rod. A good rod with the wrong line will never do better whosoever casts it. Experience the smoothness of your first cast using the St. Croix fly rods. The St. Croix legend elite is accurate for short and long distances. When you examine carefully the St. Croix rods 2018 catalogue, you will realize that some designs are long enough and not too heavy to hook the fish you want. For those who want to fish in a small mountain stream with lots of underbrush, the shorter St. Croix rod will gently present a dry fly bait to catch your next meal. We are pretty sure that most of us do not take good care of the fishing rods when it comes to storing and handling them. We abuse them in every way, putting them away wet or full of dust and cobwebs. When it is time to use them, they are clumsily squeezed through the doorway, wedging tightly between your luggage and the pickup bed as you travel. People do that with most of their gears. With the St. Croix legend series fly rods you don’t have to worry about making your way down the beach or the boat in reckless style with your fishing gear. The St. Croix fly rods don’t brittle over like the ordinary inexpensive rods when being stumbled over by cars, parabolically bent with an intention or jumped over by children at the backseats of the vehicle with sheer brutality. Even though the average fly rods are made with high-modulus graphite, they are usually terribly brittle despite being loved by many for being lite weight. What does it differentiate the St. Croix Legend Elite from other fly rods? The super high modulus graphite (SCVI) in St. Croix legend ultra-fly rod is reinforced with FRS in the lower section to make it stronger with maximum power despite the reduced weight. Before you buy any of the rods, it is advisable to look at auxiliary information in warranties including cashback guarantees. So as you go shopping for your St. Croix Legend Elite fly rod, ask questions about its warranty because nobody will level you primitive anyway. There is no such a thing like a lifetime guarantee for fishing rods. The St. Croix Legend Elite Freshwater Fly Fishing Rods has limited warranty just like any other fishing rods. 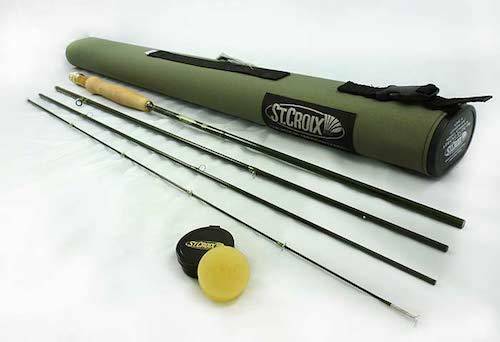 For repairs of the St. Croix rods, you will pay shipping or postage fee. But it can only work for cash back guarantee if it spoils off before the warranty expires. 1. Why should I purchase the St. Croix Legend Elite at a premium price almost double the cost of ordinary tools? If you read our review well, you will be in a position to answer this question. Nonetheless, the St. Croix rods offers high performance because of its technology. The IPC and ART technology allow it to cast accurately with ease. Check out our verdicts on other brands from Best Fly Fishing Rods. 2. Are the St. Croix Fly rods heavy? All of them are lightweight and user-friendly. The weight selections include 4wt, 5wt, 7wt, and 8wt. 3. How sensitive is the St. Croix Legend Elite? The gear is very sensitive and responsive. It is fitted with feel telegraphs which loads well quickly. When looking for a fishing rod, it is good to have an idea of what exactly you are looking for. The St. Croix fly rods are generally built to impress. The ease and accuracy of the St Croix Legend Elite are principal reasons why it is recommended. You don’t have to be experienced to cast well with this versatile and incredible fishing tool. The experience will only serve as an added advantage. Finally, it is a premium tool with a premium price. With our St Croix fly rod review we are going to rate the product 4.5 stars out of possible 5.